I am a fan of any Ink n Burn product and get great compliments on ALL their apparel! These shorts are well made, true to size and comfy. Wore them in a spin class and they didn’t ride up at all. I was so pleased with the fit of these beautiful shorts. They stay out and don’t ride up and are so comfortable. They are great for any activity. I was hesitant on wearing the 4” shorts but they actually fit and feel better than some other brand 5” I have! I was shocked in a great way! Ran 5 miles in them and didn’t ride up at all. I will definitely be ordering more! The 4’’ shorts are my favorite shorts for my short legs. They stay in place while running and also in the gym. The colors could have been brighter for my liking (that’s why they get 4 stars instead of 5). I've been eyeing up InknBurn shorts for more than a year, and when these went on sale I had to snag them. I bought my usual size that I wear in Lulu (6) (for reference I'm 5'6" and 135 lbs) and these are not as compressive as some of Lulu's shorts, but were extraordinarily comfortable and soft! Given their non-compressive nature, I expected them to ride up immediately. I've gone on a handful of runs (up to 9 miles), including some speed work, and these beauties do not move! They stay put, feel like 2nd skin, and are just all around PERFECT. Plus, I love their side pockets and love that my iPhone X can comfortably fit in there and doesn't bounce around. I will be buying more! I think i've found my favorite ! 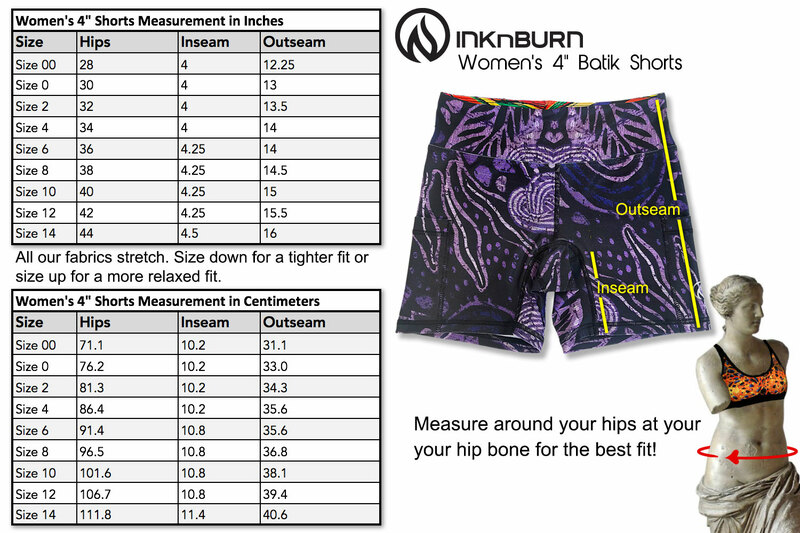 These shorts are not only comfortable, but they really go with plenty of my InknBurn singlets and tops. Love the length. Will buy another pair of 4" shorts soon.